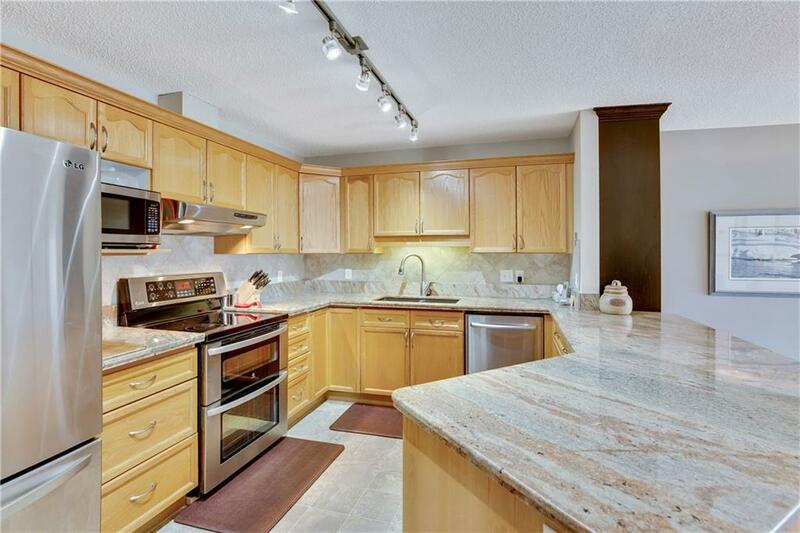 Beautiful renovations in a highly desirable 50+ condo building. 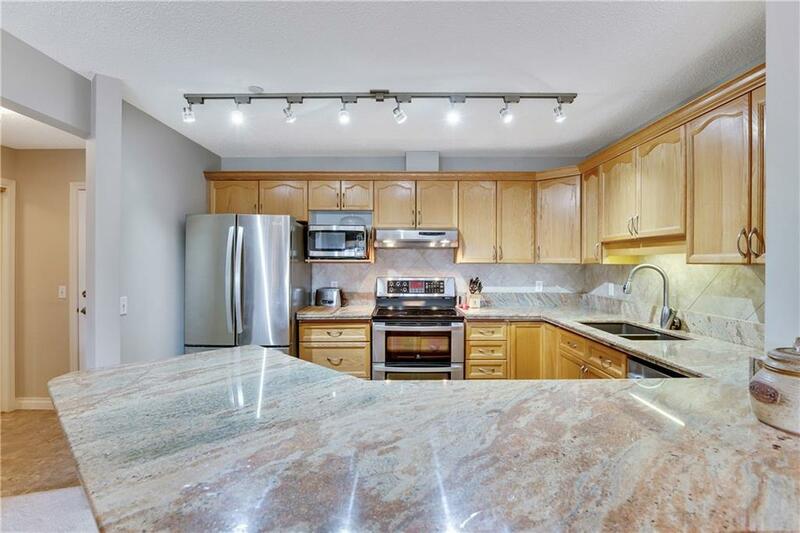 This sunny, south facing unit features a stunning renovated kitchen boasting granite countertops, stainless steel appliances including a double oven, breakfast bar, and ample storage. The dining area, with built in china cabinet, and living room flow together in an open concept layout and offer access to the south facing balcony with a gas line where you can enjoy the beautiful mountain view! 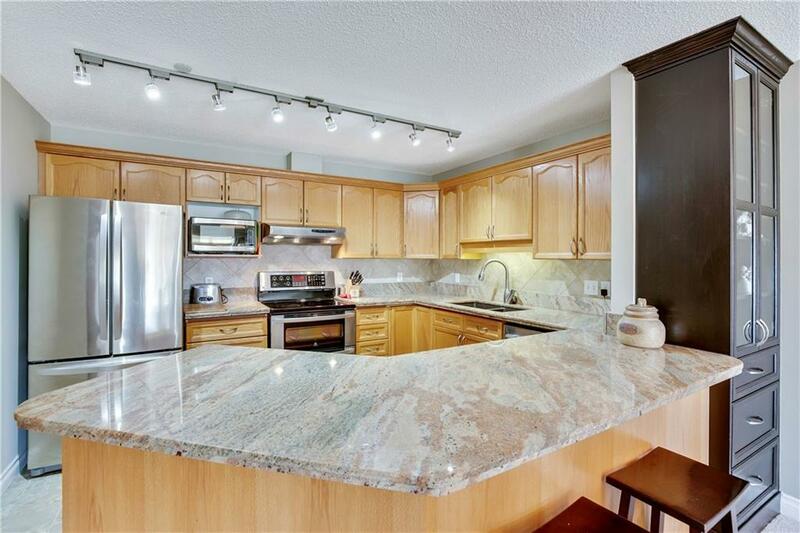 There are 2 spacious bedrooms including the large master suite with dual closets and custom renovated 3 pc ensuite featuring a glass enclosed shower. The main, 4 pc bath offers a walk-in tub and adjustable showerhead. Enjoy the convenience of in-suite laundry & storage. 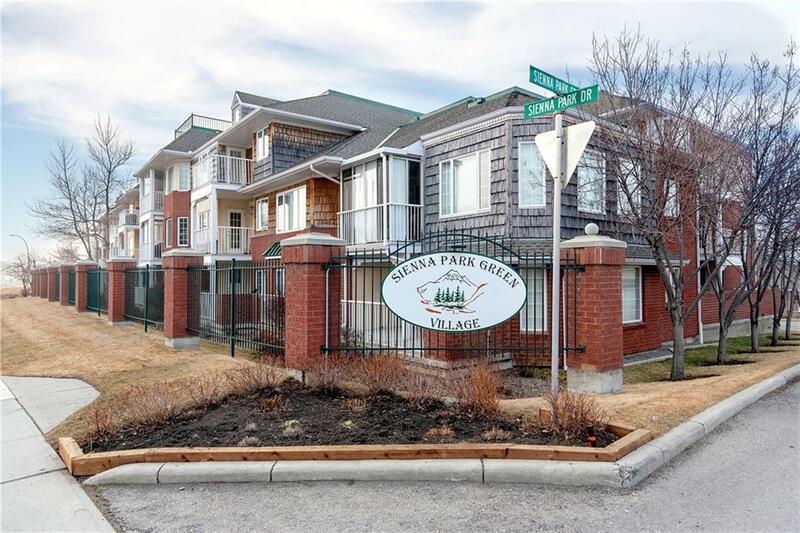 This unit is ideally located close to the elevator and close to the heated, underground parking spot with a storage unit nearby. The nearby recreation center and visitor parking are nearby for your convenience - enjoy pool tables, gym, social areas, kitchen & more.